"We must constantly retool ourselves, become perpetual students, or we risk becoming obsolete." 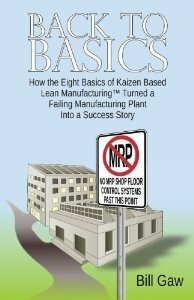 You need to identify and master the basics of lean manufacturing. Many historic, recurring, day-to-day problems (perhaps the same problems that plague your operation) can be permanently eliminated by a tenacious execution of the basics and best practices of lean manufacturing. 7. Earn recognition, promotions, and higher earnings. 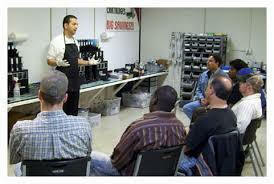 Bill Gaw's Lean Six Sigma PowerPoint Presentations, "Make-a-Difference" training. Most training materials today are either Adobe .pdf e-books with little or no effective graphics... PowerPoint charts with no commentary to explain the content of the slides... videos that tell you what to do but with very little implementation and/or optimization �How To,�... and seminars/webinars that present lots of materials but most attendee�s retention rate is less than 25%. 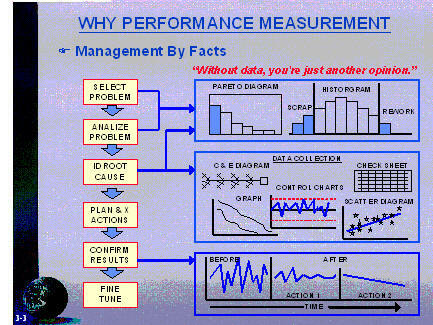 Bill Gaw's, Lean Manufacturing PowerPoint Presentations on the other hand include powerful, PowerPoint charts and graphics, "plus" annotated note pages with slide commentary and "lessons learned" by Bill a "been there, done that" lean manufacturing champion. to the right place. Here you will find Bill Gaw's, back-to-basics, solutions presented via 9-PowerPoint Presentations that provide the foundation for achieving positive results... Powerpoint presentations for accelerating individual success... Powerpoint presentations that help you to become a "make-it-happen" individual... Powerpoint presentations that returns sanity to the work place and raises the level of individual performance. 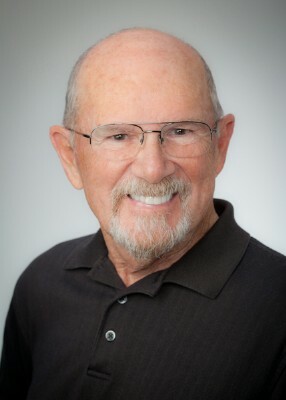 "Bill has helped me a lot, either by providing clear and precise directions whenever I asked, or by sharing much of his deep knowledge in his Website, bbasicsllc.com. Managing, with excellence, the combination of sound theoretical knowledge with successful "hands-on" exper-tise, Bill is certainly one of the few persons I'd classify as "Coach of the Coaches"! slides with note page commentary and "Lessons Learned." by Bill Gaw, a Lean Manufacturing Champion. expenses, and time away from the job. career advancement and a successful job search. * Transform work into fun again. Without data, you�re just another opinion. That says it all. To improve our performance, we need to first learn how to capture and then apply statistical data to our situation analysis. This action is a primary requisite to effective problem solving. Slide 3-3 presents an overview of a manufacturing by facts system. Lesson Learned: The more that people use real time data to perform situation analysis and to establish and track corrective actions, the more comfortable and effective they become at interpreting and applying data-on-the-run. It is my contention that exceptional leaders make quick and quality decisions because they have mastered the skill of interpreting data-on-the-run. Bur, when a leader says, �That doesn�t sound right to me. What about .. . . .?� He has put to use, what I call, the test of reasonableness and this ability separates the exceptional leaders from the pack. To develop the ability to apply the �test of reasonableness,� a leader must first become an expert at interpreting data-on-the-run. If you were watching a video, attending a seminar, or a webinar would you be able to take down the above in your notes for later reference... I don't think so. With Bill Gaw's approach, there is no need to take notes because you have the training slides and relevant dialog for future reference. For more than 15 years, our 1500 plus Customers and 15,000 plus MBBP Bulletin Subscribers have looked to Bill Gaw as a trusted publisher of "back-to-basics," lean Six Sigma , training materials and programs. Distant learning that helps improve the spirit and performance of individuals and their organization. We invite you to join the crowd? Compared to many other manufacturing coaches, Bill Gaw avoids a general, philosophical approach. Rather he aims to be intensely practical, providing back-to-basics, how-to information for individuals and businesses that want to achieve their full growth and earning potentials. "Thank Bill for the "Free-be". I can already see where I can apply much of it to my office operation. By the way, I did not just buy the Training Library I bought the "Performance Measurement Training Package." The Training Library has been reviewed and re-reviewed many times already and many slides used to train some of my staff. Thanks for a great product." Believe it... "there is no free lunch? If you search the Internet for Six Sigma training, you'll come across a ton of stuff... and most of it free. Now I've had people tell me that they don't need to purchase anything because "you can get so much free stuff on the net." Admittedly, like I said a second ago, there is a ton of free stuff on the net...and if you put it all together you'd probably have over a 100 hours of YouTube videos, and a million pages of white papers and case studies. So if you had over 100 hours of YouTube videos, and a million pages of white papers and case studies would you and your company realize your full growth and earning potentials? Let me answer that for you... NOOOOOO! Unfortunately, "make-a-difference," Lean Six Sigma , PowerPoint training materials are not for free... but much less than you would imagine. "Your training materials are the easiest and fastest way to understand the practicalities of lean manufacturing that I have seen in many years of manufacturing consulting activity. I intend to use them in my practice, if you are agreeable, since I am now extending into new consulting areas." Much less than you would imagine. In fact, we make the Lean Six Sigma PowerPoint Presentations affordable so that it can fit easily within your personal budget. We want you to hear what Bill has to say about lean manufacturing and the best way to do that is to make it affordable. 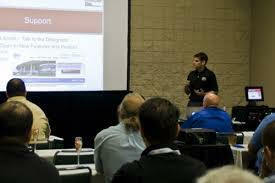 Our retail price for each presentation is $97.00. If you take advantage of this special offer, you can purchase your selection at only $67.00 per presentation. To order your presentation, simply click on the appropriate link in the below table and scroll to the bottom of the Web Page. You may ask... what's in it for me? * Gain recognition, promotions, and salary increases. "Your employer may help out with this, but ultimately the responsibility for self-improvement is yours." If you think this training will help your friends and colleagues may I suggest that you forward this Web page to them. They may thank you for your interest and initiative.